If we could ask a butterfly, “Would you become a caterpillar again?” I imagine it would say, “Are you kidding? No way!” No one would go back. Not only that, but it’s impossible to do so. This is the transformation we undergo in Christ. Once we are made new in Christ, we’re new in Christ. We are butterflies transformed because Christ lives in us. As Christ lives His life in and through us, progressively, our behavior will look more like Him. As we spend time in His Word and learn who God is and what He’s really like, our outward behavior matches our inner Savior. We are growing in our faith. This gives us two last questions to ask as we discover God’s best for our life, while also remembering that He already knows His best plan for us. His will is in His mind. It’s our job to discover it. 1. Is it out of bounds? The passages in the Bible that begin with the words “Do not” are about to share with you the things that are out of bounds. Why is this important? As soon as you step out of bounds, you are moving away from God’s best for you. You’re sacrificing what ultimately could be your best life and settling for something inferior and sinful. There is no life in sin! 2. Will it help me grow? Transformed is in the passive voice, meaning it is something God does to us, not something we do in our own strength. It’s the Greek word metamorphoo, from which we get metamorphosis. It’s the caterpillar becoming the butterfly. the same question for a similar decision, and God would give us different answers. This is the beauty of life in Christ. It’s a relationship, and God knows His best plan for each of us. What grows me won’t necessarily be the same thing that grows you. God, create in me a habit of approaching all decisions and conversations with the question: Will this thing bring life or death? If life, embolden me. If death, redirect me. Amen. Make tough decisions with confidence! When it comes to making tough choices, the first thing we need to do is ask for God’s guidance. But how can we recognize His voice when He responds? 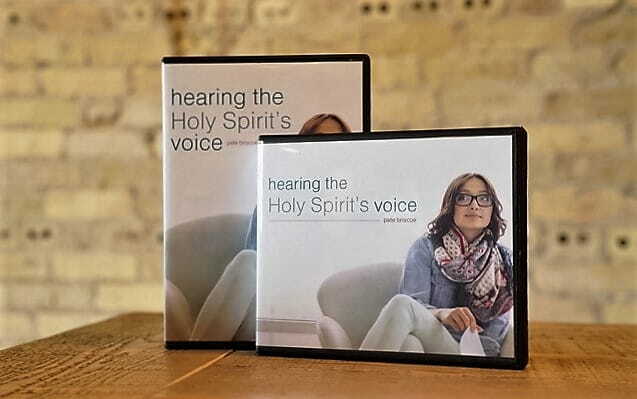 Pete Briscoe shows you how in his 2-message CD or DVD series, “Hearing the Holy Spirit’s Voice.